Last weekend, I popped into my local Topshop to see if they had any of the beautiful limited edition make-up in the rose gold packaging, but sadly, they didn't have anything in stock because it's such a small store. However, they did have a few nail polishes and blushes in stock in the normal packaging, so I couldn't resist picking up some bits and pieces. 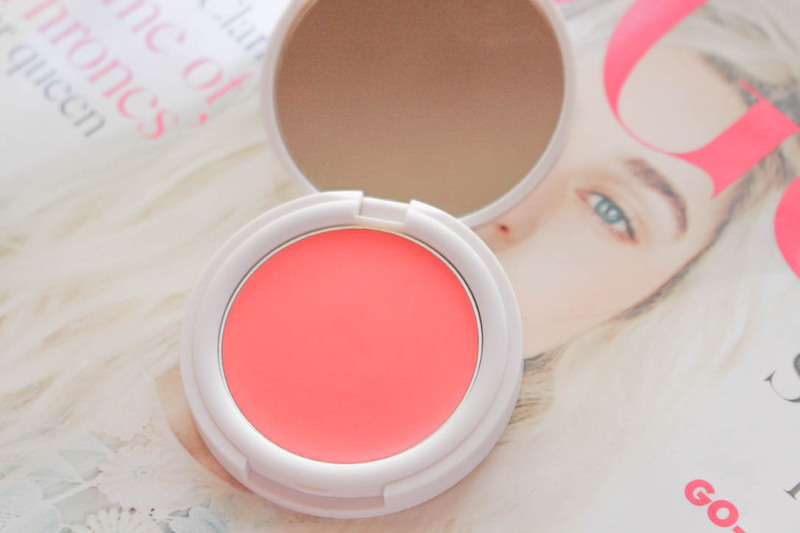 The first thing I picked up and that was on my wish list for ages was the cream blush in the shade 'Head Over Heels'. 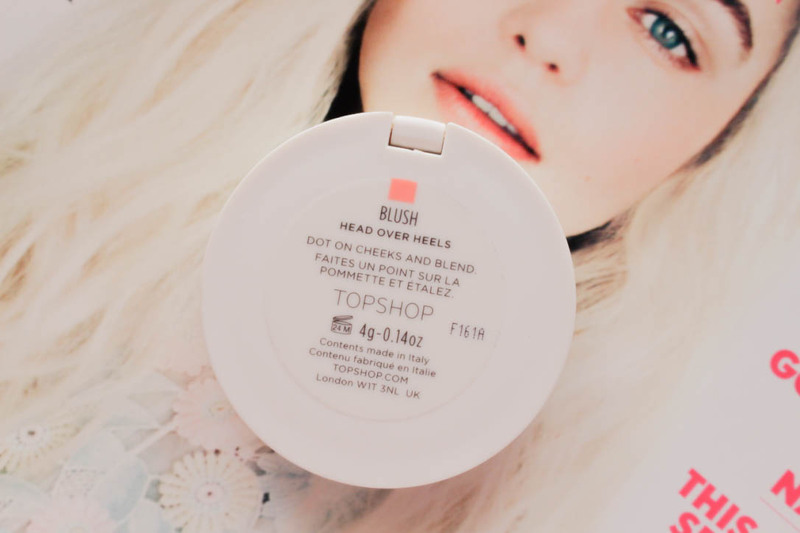 I've heard so many great things about the face products from Topshop, so I thought a blush would be a great place to start off. Head Over Heels is a gorgeous bright coral shade which is perfect for the Spring and Summer months as it adds a fresh, dewy look to the skin. 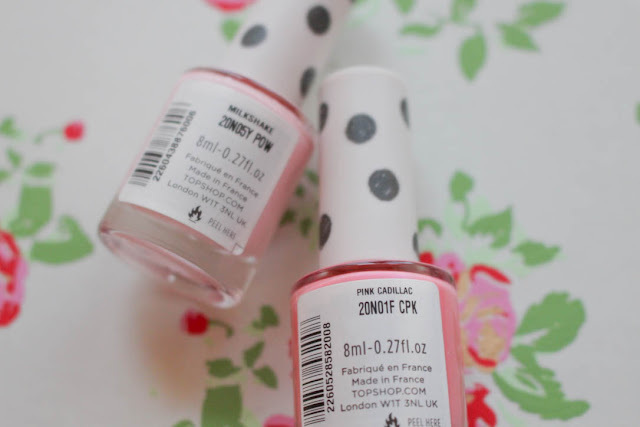 The formulation is incredible, creamy, lightweight and easily blendable, even for such a bright colour. I'll definitely be back for the shade 'Afternoon Tea', although 'Aorta' also looks interesting because it's more metallic. 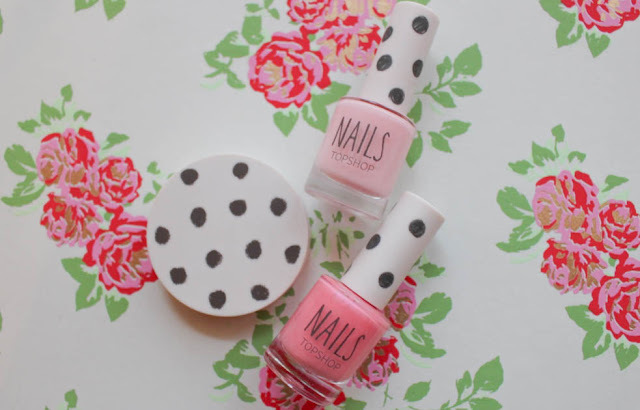 If you read my latest Nails Of The Week | Manicure Monday post, you'll have already recognised and seen the swatches of the nail polish in the shade 'Milkshake'. Milkshake is a lovely powder pink, which adds a pretty pop of pink without being too in your face or out there. Pink Cadillac is a gorgeous candy pink with pearlescent finish due to the tiny bits of golden shimmer running through it. I have a few Topshop nail polishes and I'm always impressed with the quality of them. They glide on with ease due to the glossy formulation and wide brush, they're pretty chip resistant and it only takes two thin coats, even with the lighter shades to get a glossy opaque finish. Both shades are welcome additions to my ever-growing nail polish collection and I think I have my eye on the shades 'Adrenalin', 'Boy Next Door' and 'Green Room' for my next visit. What do you think of my Topshop beauty haul? 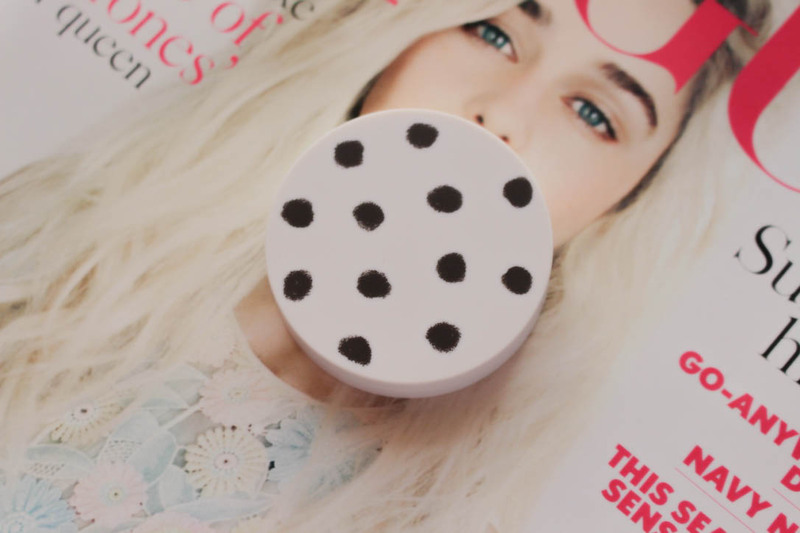 Do you have any Topshop beauty recommendations? Let me know in the comments! I still haven't tried anything from Topshop Beauty but I really want to, everything looks amazing! These nail varnishes are so cute I especially like Milkshake it looks like the perfect marshmallow shade! I just can't take my eyes of your pictures! 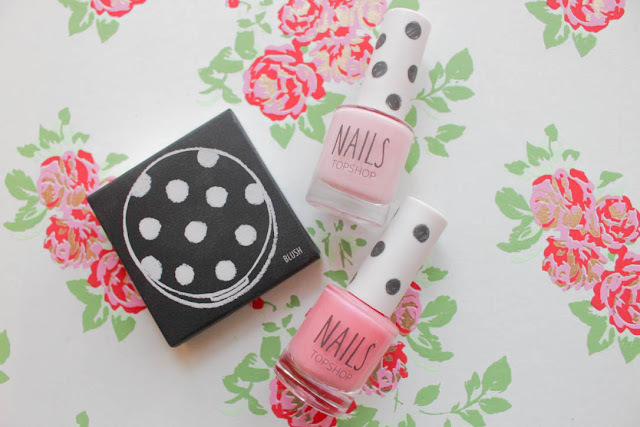 This blush looks amazing and the nail polishes seem to be perfect for summer ;) I definitely need to try at least one of these products!